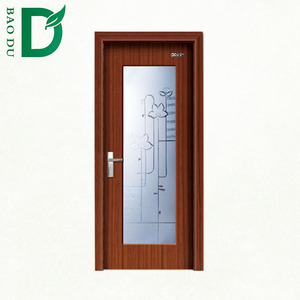 And you can design door and design window for your imagine. Then you can get best details and reasonable price you want. 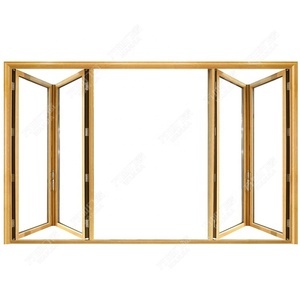 After we comfirm everything, we will design door or design window for your needs. Professional fold bathroom door aluminum door Product Display Product Details Selected Aluminum Raw Materials Hundreds of Color Choices for Aluminum Profile CCC Certificated Tempered Glass HOPO German Brand Hardware Top Quality EPDM Sealing Strip Strong Stainless Steel Mosquito Net Advanced Machines and Equipments to R einforce Corner Joints PRODUCT SPECIFICATIONS Profiles 1. Thermal Break Aluminum profile 2. Aluminum Alloy profile 3. T hickness: 1.4-2.0 mm 4. Color:Hundreds of Choices - W hite, Grey, Brown, Dark Blue, Champagne, Gold, Sliver, Golden oak, Red Walnut, White Birch Glass 1. Single Tempered Glass : 5, 6, 8,10,12. 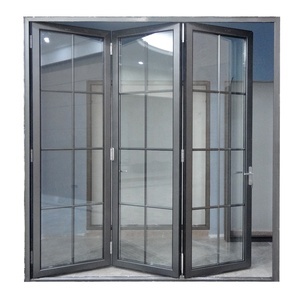 2.Double Tempered Glass : 5+9A+5, 6+12A+6. 3.Laminated Glass : 6.38,10.76,10.38. 4.Triple Glass, Low-e Glass , Frosted Glass , Grey/Blue/Green Tinted Glass . Hardware 1.HOPO German Brand 2.Lingyin Own Brand Screen/Mesh 1.Stainless Steel Mosquito S creen 2. Stainless S teel / Aluminum Security Mesh Finish 1.Powder coated 2.Anodized 3.Electrophoresis 4.Wood Grain 5.PVDF Coating / Fluorocarbon Types Sliding Window, Casement / Swing Window, Bifold Window, Awning Window Tilt and Turn Window, Fixed Window, Shutter Window Sliding Door, Casement / Swing / Hinge Door, Bifold Door Toilet / Bathroom Door, Automatic Door, Glass / Aluminim Louver Production Process Company Profile 1. Strong Supply Capacity : preparing giant stock of selected materials 2. Automatic Equipment : equipping with fully automatic production line 3. Careful Protection of Goods : moving profiles off ground suring production Certificate Project Case More than 10 Years' Export and Installation Experience : Thousands of Projects All Over the World 1. Excellent Sales Team: 24 Hour Online Consultation 2. Professional Designer Team: Personalized Design 3. Responsible Production Department: Careful Production, Trial Assembly, Packing & Loading 4. Experienced Installation Team: Professional Installation Guide Contacts CONTACT US NOW! 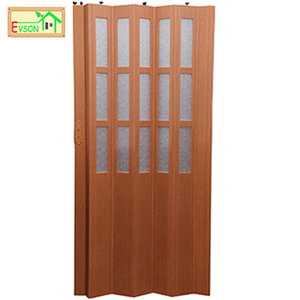 1 YRS Boloni Smart Home Decor (Beijing) Co., Ltd.
Alibaba.com offers 5,365 bathroom folding door products. About 56% of these are doors, 4% are windows, and 1% are building glass. 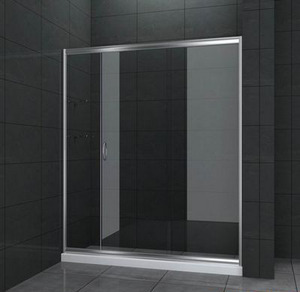 A wide variety of bathroom folding door options are available to you, such as aluminum alloy, glass, and mdf. 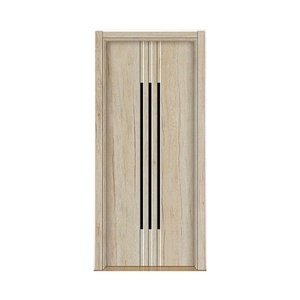 You can also choose from accordion doors, entry doors, and sliding doors. As well as from folding, swing, and sliding. 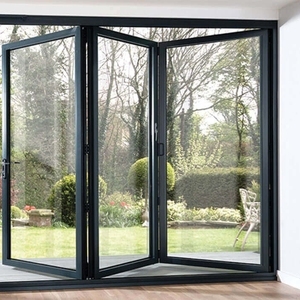 And whether bathroom folding door is interior, exterior, or commercial. 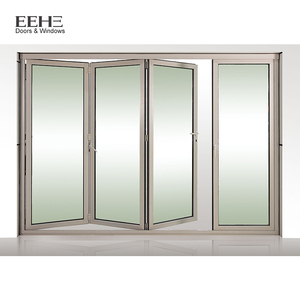 There are 5,365 bathroom folding door suppliers, mainly located in Asia. 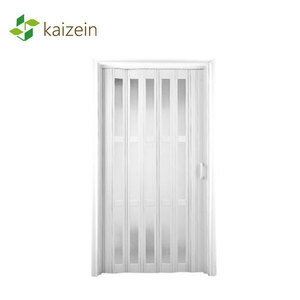 The top supplying country is China (Mainland), which supply 100% of bathroom folding door respectively. 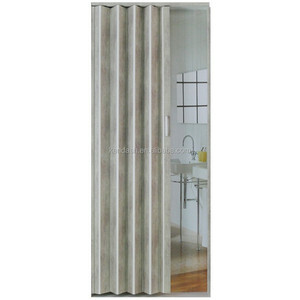 Bathroom folding door products are most popular in North America, South America, and Domestic Market. You can ensure product safety by selecting from certified suppliers, including 1,151 with ISO9001, 538 with Other, and 215 with OHSAS18001 certification.